In a world so full of distractions and temptations, purity is difficult. Even more than difficult, the call to purity often goes forgotten and ignored. "Cheap grace" (Jude 4) is substituted for a call to passionate living. 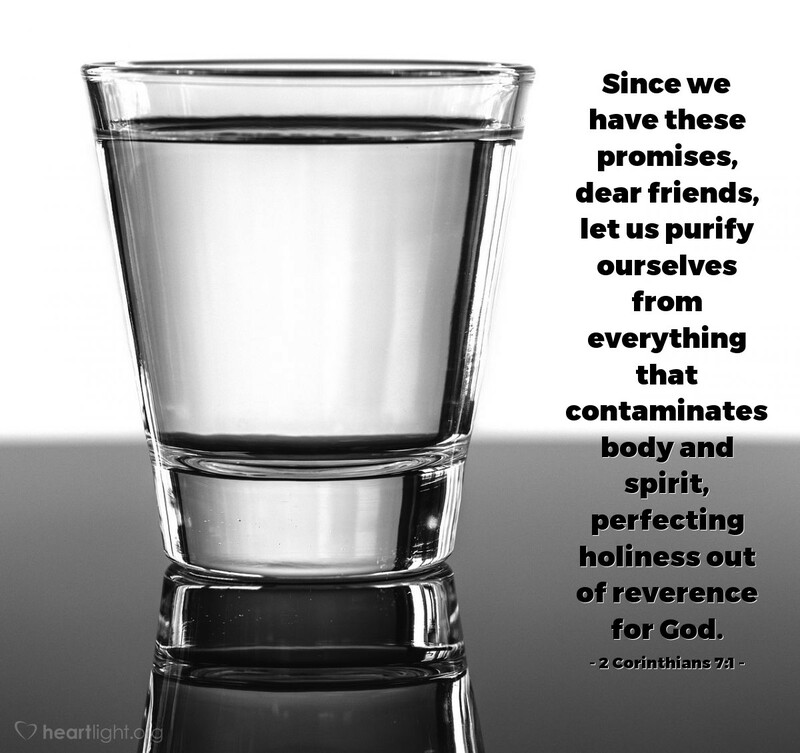 While we never want to give in to a works righteousness, we also must remember that impurity through laziness or lack of commitment or simple rebellion are contaminating to those claiming to be Christians and ruin our influence before the watching world.